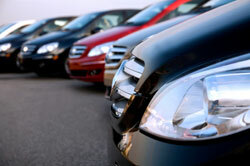 Lowest rates across the U.S.
What Is a Used Car Dealer Bond? Posting a used car dealer bond is an indispensable part of your licensing process as a used car dealer in many states across the U.S. You will need to provide a bond for a state-specific amount, when you apply for a used car dealer license with your state’s auto dealer licensing authority. The purpose of a used car dealer surety bond is to protect the state in which you operate, and the general public, against potential fraudulent activities on your side. In this sense, the bond is a safety net for your customers, and a strong guarantee that your dealership is safe to do business with. What happens if you fail to follow applicable rules? You could face a claim on your bond. You can read more about claims in the Questions section below. Who needs to obtain a used car dealer bond? How much does a used car dealer bond cost? Can I get a used car dealer bond with bad credit? How do I get my used car dealer bond? How do I renew my used car dealer bond? How are bond claims handled for used car dealers? In many states, a used car dealer surety bond is required of individuals that would like to sell used motor vehicle dealers and are applying for a used car dealer license. Depending on the state you operate in, you might have to specifically post a used car dealer bond, or a regular motor vehicle dealer bond. The latter is used in cases when selling used vehicles will be covered by a dealer license for used and new vehicle sales. Make sure you thoroughly check the requirements of your state licensing authority before you start your licensing and bonding process. Your surety bond cost depends on a variety of factors. How much you will pay for your used car dealer bond is based on the bond amount you’re required to post, as well as on your financial status. The bond amount required for a used car dealer license varies from state to state. For example, if you want to start selling used vehicles in Florida or Texas, you’ll have to post a $25,000 used car dealer surety bond. For a used car dealer license in California, the bonding amount is $50,000. That’s why your first step is to determine the bond amount you’re obliged to post in your state. However, obtaining your used car dealer bond does not mean paying the full bond amount. You only need to pay a percentage of it, usually between 1% and 3%, which is called the bond premium. Thus, you might end up paying between $250 and $750 for a $25,000 bond. The percentage that you will have to pay can be set only when you complete a full application with a surety agency. The application is an assessment of the overall strength of your dealership, looking at your personal credit score, business finances, assets and liquidity and experience in the industry. If your status is stable and your credit score is good, your premium will be lower. For a full overview on the indicators that are considered in deciding your bond premium, make sure to check out our surety bond cost guide. Here at Lance Surety Bonds we know how difficult it is for car dealers to get bonded with bad credit. For applicants with a low credit score, tax liens, bankruptcies, or civil judgements, we run our Bad Credit Surety Bonds program. Lance Surety Bonds is committed to helping used car dealerships stay in business by providing them with the bonds they need, whatever their credit score is. You can start your bonding process today! Just apply online and submit the necessary documents that accompany your application. We’ll get back to you with your free bond quote in no time. Having bonded thousands of used car dealers, Lance Surety Bonds can offer you the best rates for used car dealer bonds - and a solid knowledge base on the licensing process. You can get more information about bonding on our How to Get Bonded page. Call us at (877) 514-5146 if you need help with the application process or expert advice. We’d be happy to help you out. Depending on the state you are based in, you’re likely to have to renew your used car dealer license annually or biannually. Every time you renew the license, you have to do the same for your used car dealer bond. With Lance Surety Bonds, you will get a renewal notification a few months in advance of the expiration date. We will contact you via mail, fax and email and will follow up by phone if necessary. You’ll have enough time to complete the renewal, so that you stay in compliance and keep your license active. As the used car dealer bond functions as a protection for your customers, if you transgress your obligations under bond, you can face a claim against it. Proven claims can cause serious harm to your dealership, as you will have to compensate financially affected parties up to the penal sum of your bond. The costs are initially covered by the surety, but soon after you need to fully reimburse it. Avoiding claims is a top priority for used car dealers in order to keep a strong and trustworthy business. Getting bonded after a claim is very difficult, so claims can jeopardize your dealership’s success.